Familiar, but unfamiliar – known, but not well-known – this is the credo of the figure humaine kammerchor and its founder and conductor Denis Rouger. 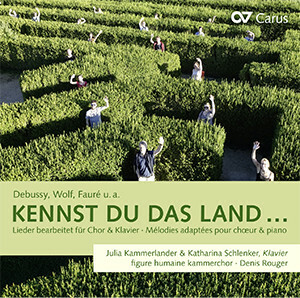 On their first CD "Kennst du das Land ..." the artists present French as well as German solo songs in arrangements for choir. 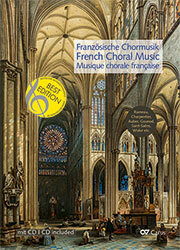 The songs by Gabriel Fauré, Hugo Wolf, Fanny Hensel, Claude Debussy, Clara Schumann and others can be experienced anew through the choral interpretations. 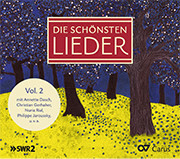 The young chamber choir is accompanied by the pianists Julia Kammerlander and Katharina Schlenker.